Can Sending a Text Message Create a Valid Will? Modern technology emphasizes convenience. Using our phones, we can do just about everything: order food, listen to music, read and revise business documents, et cetera. But some things still need to be done in writing–that is, on paper and not an iPad. This includes making your last will and testament. 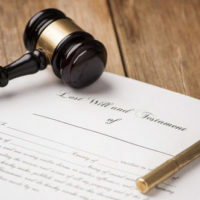 While it is certainly okay to use technology to help draft a will or organize your estate planning thoughts, the actual document must still be printed and signed by you in the presence of at least two witnesses. These rules may seem outdated but they serve a vital function–to prove that your will is actually yours. While the law in this area will no doubt continue to evolve, at least as things stand today, you cannot create a valid last will and testament in Florida by sending a series of Tweets or writing on a Facebook wall. Need Help Making a Florida Will? Again, it’s important to note that a purported will contained in a text message would almost certainly be rejected by the Florida courts. Even if such things were allowed, as was the case in Australia, it would still be a terrible idea. A will is not something you should casually dash off like an Instagram post of your dinner. It is a legally binding document that carries serious consequences for your family and your property. An experienced Fort Myers estate planning attorney can assist you in drafting a proper will. Call the Kuhn Law Firm, P.A., at 239-333-4529, or contact us online today to schedule a free confidential consultation with a member of our legal team.